Egyptian authorities have arrested six suspected members of a "terrorist cell" behind a failed suicide attack on a church in the outskirts of Cairo, the interior ministry said Sunday. 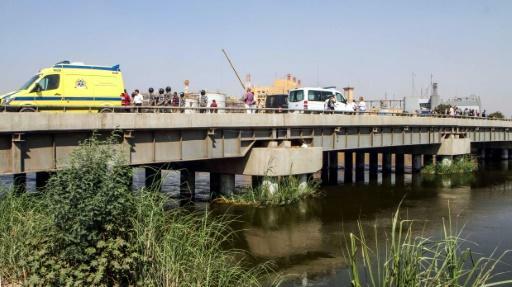 A suicide bomber attempted to attack the Virgin Lady Church in the Shobra el-Kheima district on Saturday but blew himself up before reaching his target, officials said. Authorities said an explosive device hidden beneath his clothing detonated as he retreated due to the heavy police presence around the church. The police identified the bomber as Omar Mohamed Ahmed. They said he was part of a "terrorist cell", but did not specify which group it belonged to. After searching the assailant's residence, police said they found evidence on co-conspirators and plans to carry out further attacks. The interior ministry listed by name six members of the "terrorist cell" who had been arrested. Christian sites of worship across Egypt have been repeatedly targeted in attacks claimed by the Islamic State group. A string of bombings on Coptic churches in Cairo, Alexandria and the Nile Delta city of Tanta in 2016 and 2017 killed at least 80 people. Coptic Christians make up about 10 percent of Egypt's predominantly Sunni Muslim population of some 96 million. The Egyptian army is currently waging a major operation focused on the Sinai Peninsula to wipe out IS.